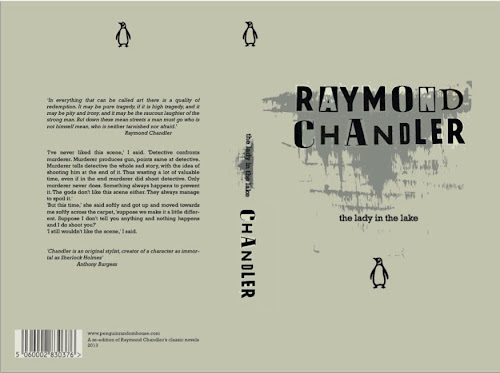 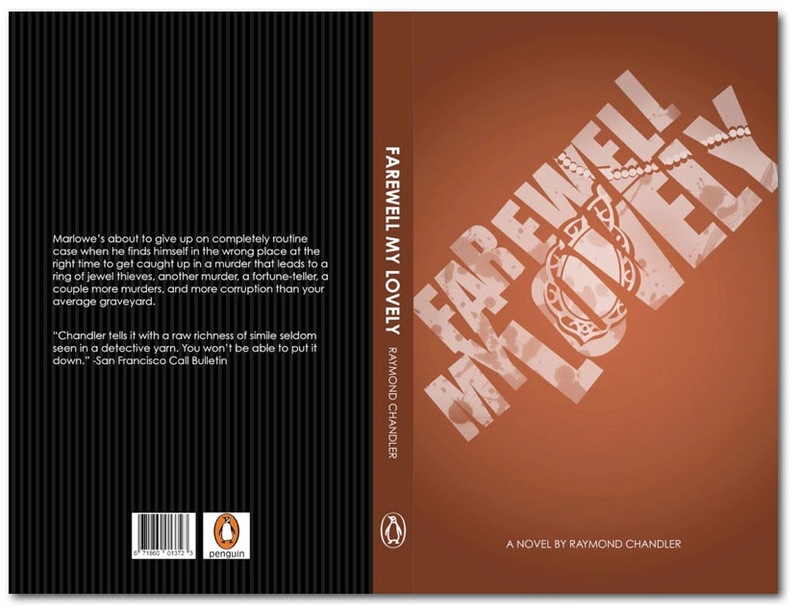 There was a literary vibe in the studio today as our HNC class presented their typographic projects - a set of book cover designs and a point-of-sale for four Raymond Chandler novels. 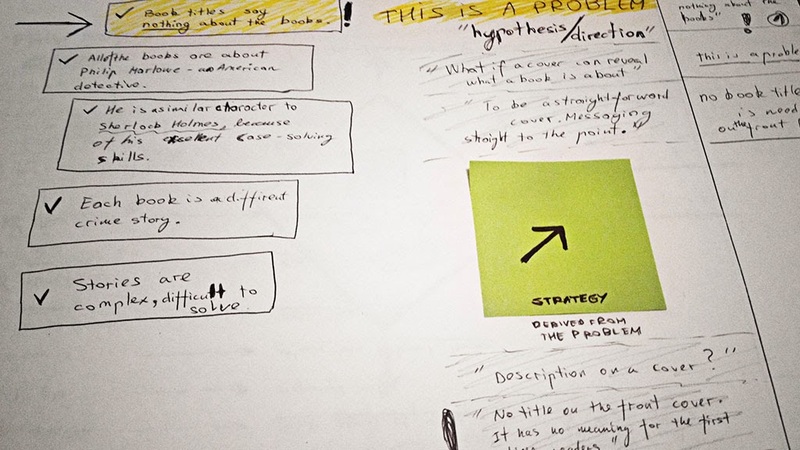 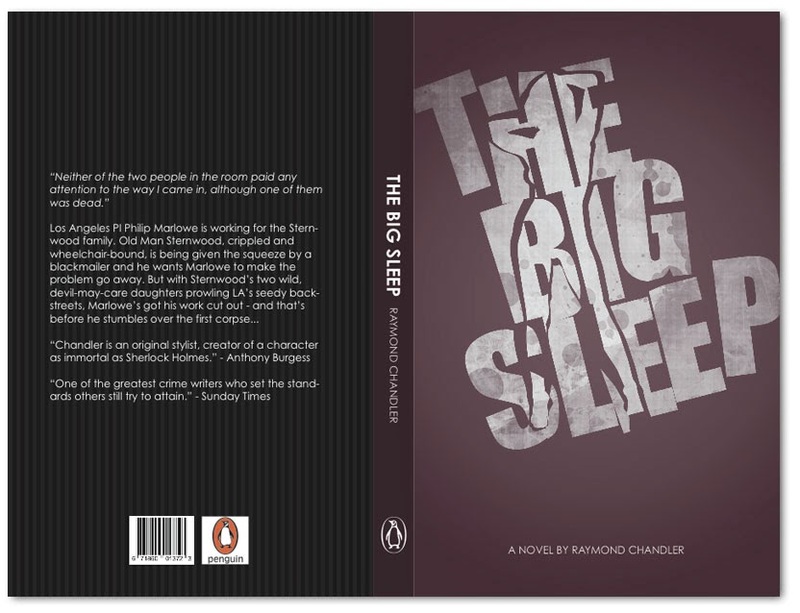 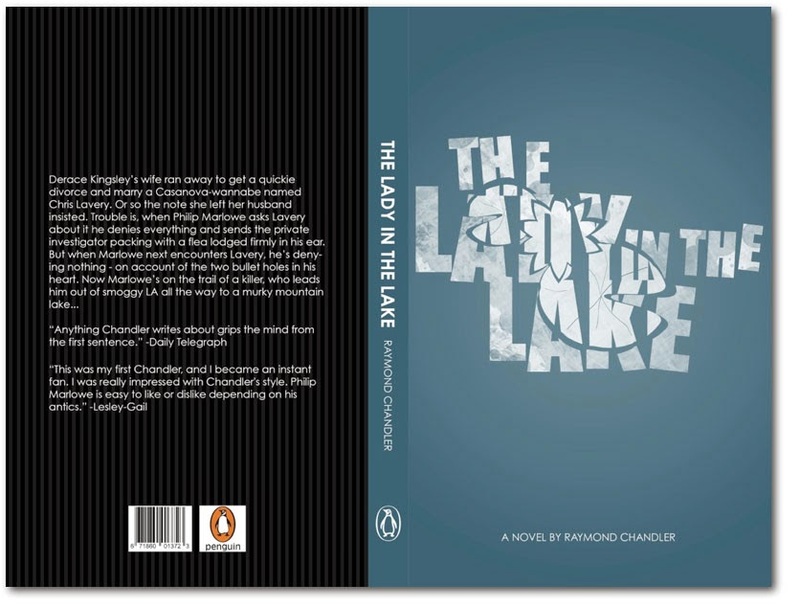 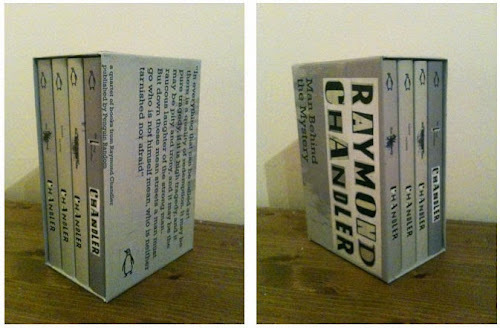 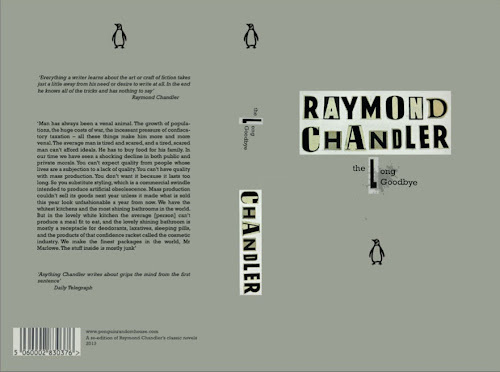 The brief specified no images, just typography, with all four books connected in some visual way, and Penguin as the client. There were 18 presentations to get through, featuring 72 book covers and dozens of supporting visuals, so this was a long day in the studio! 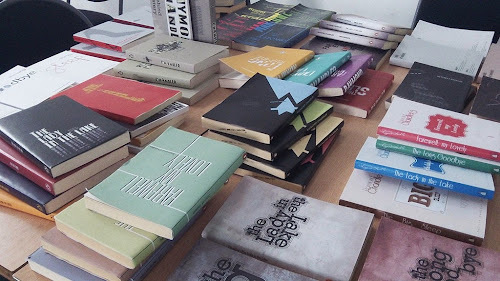 The three example designs shown here came from Saulius Strebulis, Sarah Diver-Lang and Oliver De Leon. 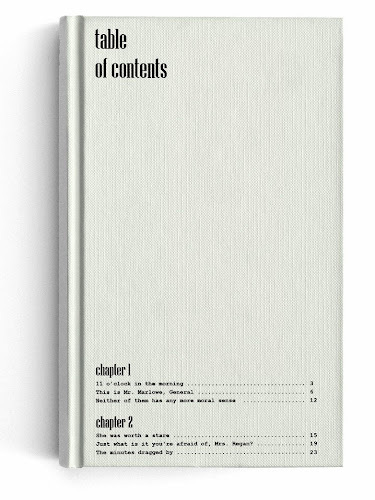 Saulius' concept, 'beneath the surface' focussed on Chandler's words, via some serious minimalism, as he dispensed with the cover altogether in favour of a table of contents showing opening lines for key paragraphs in each chapter. 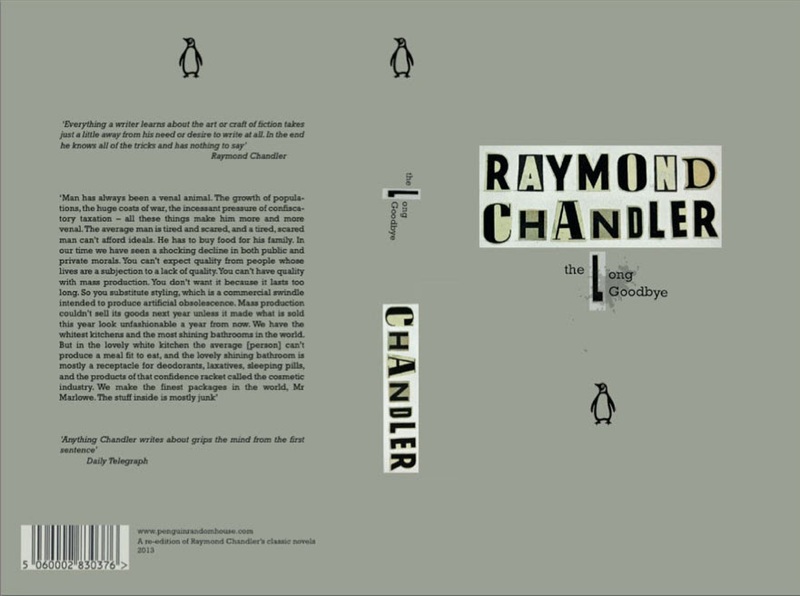 Sarah's designs also veered towards minimalism, but she took a more hand-crafted approach, cutting bits of type out of an original 1950s American magazine, and assembling Chandler's name from the letters - a neat twist on vintage typography. 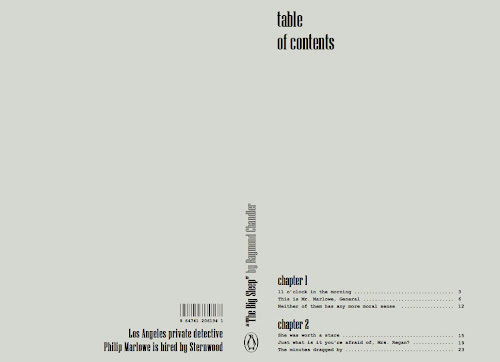 Oliver's work featured some slick effects on the titles to create a bold and dramatic look with a hint of menace and a really commercial feel. You can check a larger sample of the work from all 18 students, pinned to our Chandler Covers board on pinterest.